““I was just disgusted that the bylaw department is going around enforcing something as ridiculous as that in this kind of heat wave,” Parniak said. “My parents are senior citizens, they are in their 80s. My mother is disabled with lupus, my dad had kidney failure and has been in and out of the hospital,” Parniak said. 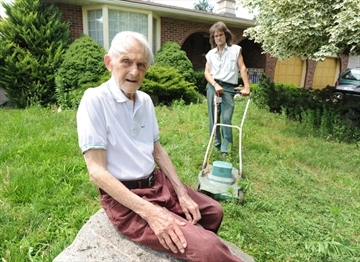 Despite the article making the neighbour(s) who ratted out the couple about their lawn out to be insensitive creeps, the fact that such bylaws are so widespread and accepted tells me that most Waterloo Region residents, most Canadians, and even most Americans would force this old man (through government) to cut his grass, too, if they were his neighbour. If, for example, the guy had a dangerous tree on his property, then I think the city would be justified in acting to protect his neighbours, but what business is it of his neighbours, or of the city, to impose force on him simply because his grass is allegedly, and arbitrarily, “too long”? 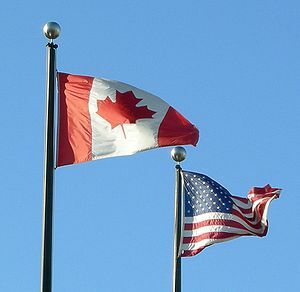 This is the consequence of not truly owning any real property in Canada, unless you’re the Crown, and in most places in the United States, unless you’re the “sovereign” government. Your “ownership” is only fee simple, which means it is subject to all taxes and regulations imposed on it by the so-called representative government. Am I saying that I would be happy to live next to a neighbour or neighbours with lawns that more resemble a jungle? Of course not! — but that’s not the point. How is it infringing upon my property rights, unless that grass becomes a danger to my property? In a twist of irony, the city of Waterloo doesn’t follow its own similar bylaw, as I walked by the University of Waterloo Tech Park, which is operated by the publicly-owned university, and has tracts of land with grass and weeds bigger than eight inches at times, including on July 20. 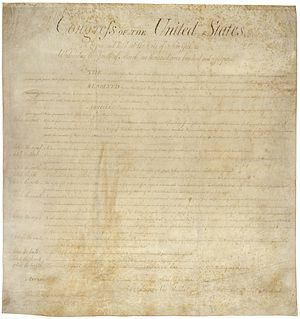 Is it the case of a bylaw exemption, of the government not actually being servant to the people, and, instead, master? As a friend told me, when he worked on Ontario Works public housing projects, he was told that the government’s excuse was that there was simply too much grass to cut. Too much grass to cut within 24 hours or a few days, perhaps, but it’s not a valid excuse at all if it justifies hardly ever cutting the grass while employing bylaw officers to force their benefactors (tax-paying residents) to cut their grass. Until enough residents stand up and prove otherwise, I have no reason to believe that most of them wouldn’t also use the power of government to force their neighbours to cut their grass, too.